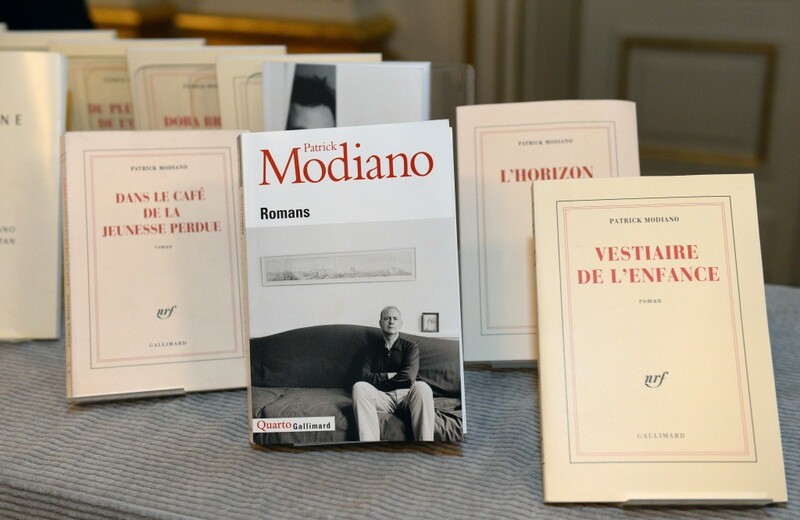 Immediately after French novelist Patrick Modiano won the Nobel Prize for Literature in October 2014, his prestigious publishing house, Gallimard, moved into action. The whole of the author’s back catalogue was quickly remarketed — and reprinted where necessary — and new foreign-language rights were rapidly agreed. This latter development has already had a considerable impact in the Anglophone world. Before Modiano became a Nobel laureate, relatively few of his texts had appeared in English, and many of those that had were out of print, clearly having found no long-term readership (I bought my own copy of Honeymoon in a discount book shop at a knock-down price). Since last year, however, the floodgates have opened.The unavailable works have been reissued; many of the previously neglected novels are already out in translation, and numerous others will be appearing shortly. Well to the fore in this literary tidal wave is The Occupation Trilogy (2015), which brings together in one volume Modiano’s first three novels: La Place de l’Étoile, The Night Watch and Ring Roads. Relatively speaking, this tome represents extremely good value, being far cheaper than the three individual paperbacks bought separately. Its driving force is translator Frank Wynne, who has provided the first-ever version of La Place de l’Étoile in English, and also revised the existing translations of the accompanying texts (by Patricia Wolf and Caroline Hillier respectively). Translating Modiano is never an easy task. The novelist’s skilful manipulation of verb tenses, his largely French-specific allusions, and his crafted, poetic rhythms are just some of the things that do not travel well. Wynne has, despite this, managed to capture the atmospheric element of Modiano’s writing: the frantic intensity of the initial two works, and the calmer, more mature style of the third. That said, the three texts, as presented, are not always entirely reliable. “Not that I’ve never known who I was,”(p. 214) for instance, should in fact read “Not… ever.” Such lapses are not necessarily down to mistranslation, because — and this is my major quibble — the whole volume is marked by an apparent lack of copy-editing, and the succession of “typos” is distracting to say the least.The economic imperative to get the Trilogy out quickly is understandable, but Modiano is a writer who spends considerable time working on his prose, and when his novels appear in French they are virtually faultless. He really does deserve better than this. The mention of the father-figure here is important, for Modiano has made clear just how fundamental his own father, Albert, was to his work at this early stage of his literary career. 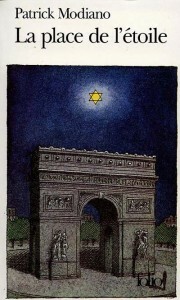 During the Occupation, although Albert was a Jew, he refused to register as such, and survived the Holocaust partly because of this, partly through good luck, and partly— perhaps principally — because he frequented and dealt with a variety of collaborators in wartime Paris, and so had influential contacts who could protect him. It is this troubling paternal behaviour and the questions it raises — intensified by Albert’s regular absences and refusal to communicate after the war — that can be seen to suffuse each of the three novels in the Trilogy (not that the reader needs to be aware of this to appreciate the texts). La Place de l’Étoile, originally published in 1968 when Modiano was still in his early twenties, finds the author exploring Franco-Jewish identity with the artistic flair that firmly established him as a precocious talent. Marked by a freedom of form that remains striking today, the work is a phantasmagoria of historical, cultural and, especially, literary allusions, a hallucinatory romp in which everyday logic, chronology and spatial integrity play little part.The central character, Raphaël Schlemilovitch, is the embodiment of this untraditional approach. Living a number of different, often contradictory, lives, and dying on multiple occasions, he is not just an unreliable narrator, but a realistically impossible one.The reason for this is that, like the novel itself, he is a mosaic. 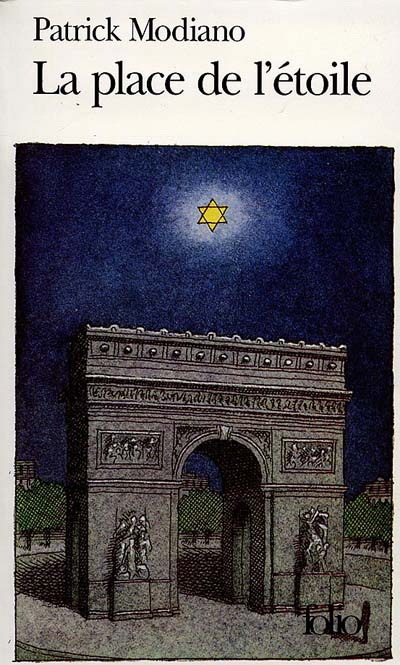 He is the clichéd, archetypal Jew in the abstract, letting his identity be fashioned for him by Jews who have preceded him, by what they have written or created, and by how Jews have been portrayed, most notably by anti-Semites.To give but one indicative example of this enforced theatricality: aware that, during the Occupation, real-life Jews like Maurice Sachs and Joseph Joanovici (and, implicitly, Modiano’s own father) had dealings with their apparent enemies, Raphaël goes through a “Jewish collaborator” phase. As if this were not — in 1968 — controversial enough, Israel is depicted as a state so obsessed with power that it engages in torture and emulates the Gestapo, while the Nazi death camps are portrayed as a macabre funfair (pp. 84-85). Clearly, then, even though this translation is based on the revised 1985 edition, La Place de l’Étoile retains its capacity to shock and to annoy. The Night Watch has much in common with its predecessor, whilst at the same time being fundamentally different (such ambiguity will be a defining trait of Modiano’s whole œuvre). As the novelist himself has helpfully commented: “Dans les deux livres, c’est toujours la recherche d’une identité: l’identité juive, pour le premier et dans le second plutôt une fuite instinctive devant toute identification.” This latter phrase is particularly well chosen. The narrator is an indecisive drifter so lacking a sense of identity that he can claim to be a variety of historical and imaginary figures. More importantly, during the Occupation, he finds himself working both for the French Gestapo, where he is known as Swing Troubadour, and for the Resistance, under the name Princesse de Lamballe, with each side giving him the task of infiltrating and betraying the other. He thus finds himself moving endlessly between his two sets of colleagues, with his two identities constantly undermining each other, as suggested by his very noms de guerre, the one — Princesse de Lamballe — being that of a historical woman (he will at one stage put on a dress, a hat, and make-up), the other — Swing Troubadour — alluding to a fictional man (the eponymous hero of Charles Trenet’s song). At the end of the novel, after denouncing himself to the Resisters and abortively attempting to kill his boss at the Gestapo, his fate seems to be well and truly sealed. 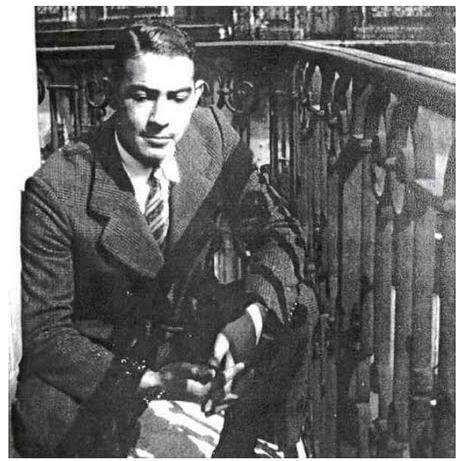 Yet elsewhere in the text there are a number of indications — including the shutters at the Gestapo HQ having been “long since […] boarded up” (p. 164) — that he may actually be remembering the past, his physical journey around Paris reflecting his mental voyage back in time. 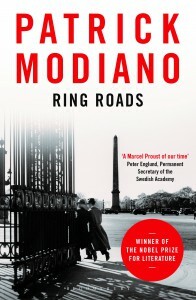 It is a sign of Modiano’s art that his narrator’s predicament, and in many ways his existential dilemmas (the decision he faces whether or not to betray; the remorse he feels after he has) are evoked formally through systematic circularity.The novel begins in media res and ends with no closure (“I drive on, half asleep”); scenes and dialogue are repeated with few if any changes; recurrent phrases act as leitmotifs; and there are a number of circular images (bubbles, a child’s hoop).The translator is particularly sensitive to this strategy, and the English chosen regularly reinforces this effect, as when “le chef de ce réseau” is rendered by “the ringleader” (p. 185). The result of this approach is that, like La Place de l’Étoile before it, The Night Watch strikes the reader as a modernistic, endlessly swirling, hallucinatory nightmare. Ring Roads marks a clear break with the frenzy of the two previous novels.The narrative takes the form of an imaginative search, which enables the narrator to go back thirty years and meet up with his long-absent parent, Chalva Deyckecaire, during the Occupation. As in La Place de l’Étoile, the father-figure here shares some of the characteristics of Albert Modiano, and is anything but a strong, “heroic” presence, having “every disadvantage” (p. 302). What is more, he seems destined not to live much longer, for he is a Jew amongst a group of collaborator-journalists. As regards his relationship with his son, he is evasive, uninterested, and downright hostile — his attempt to push the narrator under a metro train is symbolic of this apparent antipathy (and of that which Modiano himself felt to come from Albert). Be that as it may, the narrator willingly lets himself be sucked into Deyckecaire’s morally corrupt universe. He too is of uncertain identity, using the alias of Serge Alexandre, a pseudonym once also used, significantly, by the real-life swindler Alexandre Stavisky, whom Modiano has always considered to be an “image paternelle.” This is why Serge embarks on his quest and is ready to share Deyckecaire’s fate — he is looking for himself, attempting to bolster his own identity. As in La Place de l’Étoile and The Night Watch, and despite the change of tone, there is a dreamlike (if not nightmarish) atmosphere in Ring Roads. Once again, internal repetitions, leitmotifs, circular imagery (not least of which is the work’s title), and the interplay of temporal levels (including flashbacks in flashbacks) are in evidence, and that is not all. Now, the familiar oneiric confusion of the real and the imaginary is underlined by a number of (often cinematic) “effects.” Scenes drift in and out of focus, light fades and then returns, and voices sound like a slowed-down record. All in all, it is not for nothing that Serge claims to be acting like “a sleepwalker” (p. 289). From these brief summaries it may be transparent that Modiano’s project is decidedly literary; this is, after all, why he was awarded a Nobel Prize. Nevertheless, the importance of History in the Trilogy — albeit filtered through Modiano’s artistic sensibility — cannot be denied, perhaps most obviously because the three central characters plainly have something in common with historians. For one thing, they are all writers, active in the present, yet determined to make (elements of) the past, or a past, available to readers in the future. “I would like to leave a few memories […] to posterity,” says the narrator of The Night Watch (p. 158). This multi-period perspective is, of course, perfect for using the days gone by to provide lessons for, or to comment on, the here and now and the years to come. Swing Troubadour / Lamballe refers to “our crimes: denouncements, beatings, theft, murder, trafficking of every description — things that, as I write these lines, are commonplace” (p. 157). Similarly, Modiano has said of Ring Roads: “Ce père minable et fantomatique que recherche le narrateur peut être le symbole […] de l’effritement des Valeurs […], de la disparition de tout principe d’autorité et de toute assise morale, etc…. toutes choses qui étaient liées à l’image traditionnelle du Père.” “Those who cannot remember the past are condemned to repeat it,” George Santayana has observed. This maxim, which prefaced Louis Malle’s iconic film, Lacombe Lucien (to which Modiano contributed) when it first came out in 1974, could also serve as a watchword for the Trilogy. 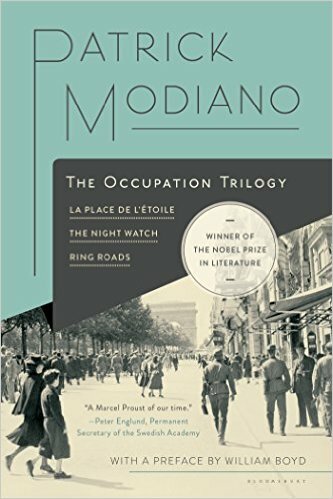 There is a further reason why Modiano may be of interest to historians, one based not so much on the simple fact that he portrays the Occupation as on what he was revealing about the early 1940s, and when he was doing it. In a word, he was focusing massively on the Collaboration at a time when this was unorthodox (the three novels in the Trilogy were published in France in 1968, 1969 and 1972 respectively), and above all, he was focusing on the French Gestapo. Given that little information about this specific branch of the Nazi war machine was then in the public domain, the amount of detail that Modiano disclosed — and disseminated thanks to his literary success — is staggering. 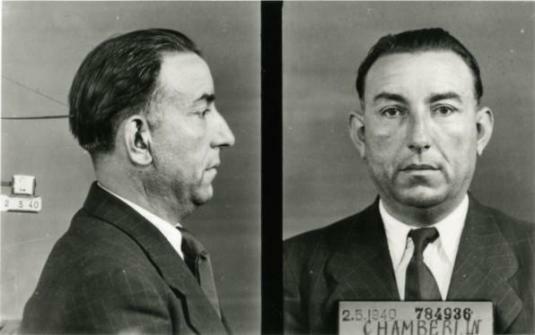 In La Place de l’Étoile, he gave an early indication of his knowledge, explicitly listing the key Gestapo buildings in Paris, as well as the leaders of the groups associated with them, most visibly Pierre Bonny and Henri Chamberlin-Lafont from 93, rue Lauriston (pp. 95-96). In Les Boulevards de ceinture (Ring Roads), he again evoked figures from these infamous gangs, including Sylviane Quimphe and Eddy Pagnon. It was in La Ronde de nuit (The Night Watch), however, that this heretical approach was at its most intense. In this novel’s aforementioned swirl, where the real merges into the invented, Lafont is transformed into The Khedive; Bonny feeds into M. Philibert; their annex at 3 bis, place des États-Unis becomes 3 bis Cimarosa Square; and the names of many of their underlings (a number of whom had already featured in La Place de l’Étoile) appear with no disguise: Magda d’Andurian, Danos and Codébo, among others. By speaking, in these novels, of such long-reviled collaborators, Modiano brought into the spotlight figures to whom historians and biographers would only really turn their attention later. In so doing, as Henry Rousso rightly stresses in his seminal work, Le Syndrome de Vichy, the novelist served as herald of the mode rétro, the extensive re-evaluation of the Occupation — driven principally by young writers and film-makers — that was to emerge in the 1970s, thanks to Robert Paxton’s pathbreaking study of Vichy, and the embers of which can in many ways still be detected today. 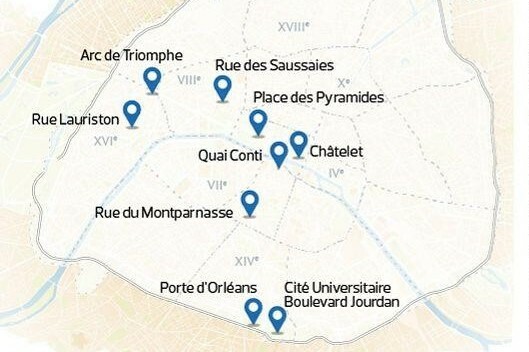 Figure 3 Le Paris de Modiano à travers ses romans. 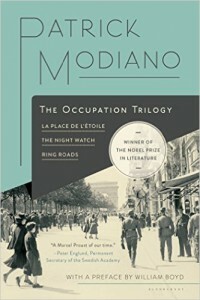 There is a second way in which The Occupation Trilogy reveals Modiano to be a paradigm for (members of) his generation. His focus on (the nightmare of) the early 1940s does not just contribute to the nation’s discussion of its (wartime) identity; there is a highly personal drive as well, an imperative centred on his father. On the one hand, the novelist is replying to his parent’s oppressors: in La Place de l’Étoile, he turns the anti-Semites’ main weapon, language, back on to them, pastiching Céline and labelling him a Jewish writer, for example. On the other, he is grappling with Albert’s frequenting of collaborators, his nominal persecutors, as is particularly apparent in The Night Watch, where “le fils […] endosse la veulerie du père, son comportement pendant l’occupation.” Fundamental to this twin strategy is the way in which Modiano uses memory. All three narrators in the Trilogy reveal what they remember about the war, but these recollections cannot logically be their own. Nor can the author be recalling his experience of the Occupation, for he was not born until 1945. What he is doing, instead, is implementing his self-confessed literary plan: “me créer un passé et une mémoire avec le passé et la mémoire des autres.” In this context, Serge Alexandre could easily be speaking for his creator when he declares that Ring Roads will be “the last [book] dealing with my other life” (p. 303). The corollary of this almost goes without saying: what we seem to be witnessing in the Trilogy is, in the final analysis, the phenomenon that Marianne Hirsch has famously described as post-memory. For some, or all, of the above reasons, The Occupation Trilogy may well be of interest to historians, but it is hard to say if the three novels can be used in class. Personally, I have only taught the last two — with final-year university students and in the original French — as part of a literature option, and my students have consistently found them difficult to understand. This may, of course, be no bad thing, for we should constantly seek to challenge those we teach.These three texts certainly do that, and, now that they are available in English, any accessibility problems relating to the use of French will have been remedied.There is, however, one thing that I can say for sure: these translations give us a clear sense of the unique literary vision that has won over the French, the Nobel judges, and many other Francophones alike. 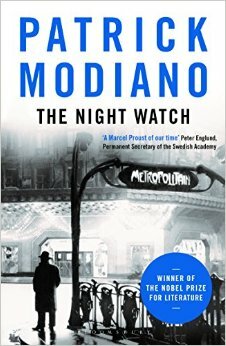 Whatever the language, Modiano is always a very good read. “The three novels have the same themes; sometimes these are only lightly sketched, sometimes they are more fully drawn (thus the theme of the father is outlined in the first novel, then developed in the third).These three novels do not comprise a chronological series, they intertwine, they are a sort of three-sided mirror where each surface reflects the images from the other two.” (Victor Malka, “Patrick Modiano: un homme sur du sable mouvant,” Les Nouvelles Littéraires, 30 October-5 November 1972, p. 2). Here and throughout, all translations from the original French are my own. At the end of the volume there is an extremely helpful set of notes (which is not in the original French edition) explaining some, but far from all, of these references (no such notes have been added for The Night Watch and Ring Roads). “Both of these books depict the search for an identity: Jewish identity in the first, and, in the second, more of an instinctive avoidance of any identification at all.” (Jean Montalbetti, ‘Patrick Modiano ou l’esprit de fuite’, Magazine Littéraire, 34 (November 1969), pp. 42-43 (p. 42)). Josane Duranteau, “L’Obsession de l’anti-héros,” Le Monde, 11 November 1972, p. 13. “The pathetic and ghostly father the narrator is searching for is perhaps symbolic […] of the erosion of Values, […] the disappearance of everything on which authority, morality, etc. were based… everything which was traditionally linked to the figure of the Father.” (Malka, p. 2). Originally in French: “Les historiens s’intéressent beaucoup à Modiano parce qu’il représente un défi à un certain positivisme que nous avons vis-à-vis de la mémoire. Aux Etats-Unis, tout le monde est en perpétuelle recherche de son identité. [..] Et voilà quelqu’un qui comprend ce métissage, qui dit le désir de savoir d’où l’on vient, mais aussi, et c’est important, l’impossibilité de savoir vraiment, la confusion.” (Elisabeth Franck-Dumas, “Alice Kaplan: “On comprend l’oubli grâce à Modiano,’’’ Libération, 9 October 2014). One important exception is Jacques Delarue’s Trafics et Crimes sous l’Occupation (Paris: Fayard, 1968). See e.g. Philippe Aziz, Tu trahiras sans vergogne (Paris: Fayard, 1970) [on the Bonny-Lafont gang] and Éric Guillon, Abel Danos, dit le Mammouth (Paris: Fayard, 2006). Henry Rousso, Le Syndrome de Vichy: 1944-à nos jours (Paris: Seuil, 1987). Robert Paxton, Vichy France: Old Guard and New Order, 1940-1944 (New York, Alfred A. Knopf, 1972). “The son adopts the spinelessness of the father, his behaviour during the occupation” (Jean-C. Texier, “Rencontre avec un jeune romancier: Patrick Modiano,” La Croix, 9-10 November 1969, p. 8). “To create a past and a memory for myself using the pasts and the memories of other people” (Emmanuel Berl, “Interrogatoire” par Patrick Modiano suivi de “Il fait beau, allons au cimetière” (Paris: Gallimard, 1976), p. 9). Marianne Hirsch, “Family Pictures: Maus, Mourning and Post-Memory,” Discourse, 15.2 (Winter 1992-93), pp. 3-29. Hirsch has been developing the concept in her work ever since.